The 1960’s were a tumultuous decade filled with change, expression and influence. Or so I hear. After all, I was born in the 90’s. Anyway, one huge aspect of pop culture that the 60’s influenced was, you guessed it, fashion. Long skirts, braids, sandals… They’re still chic, or at least they are this spring. And with that, I ask: what is more 1960’s than paisley? Before I delve into some do-it-yourself links and tips, let’s have a history lesson. 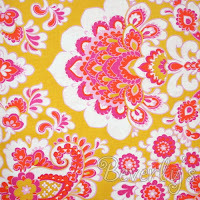 According to The Quilter’s Muse on paisley, the pattern style originated in the Middle East quite some time ago. The pattern later gained popularity in the 1960’s and the 1990’s. Look at that! Perhaps my nostalgic paisley preference makes sense now. History lesson: finished. Now for some ideas regarding what to do with paisley fabrics (like my personal favorite paisley fabric print carried at our very own Beverly’s Fabric & Crafts stores). Spring cleaning is always a great idea, right? Sure. So! Follow Design*Sponge’s little DIY to make a playful paisley fabric storage bin. 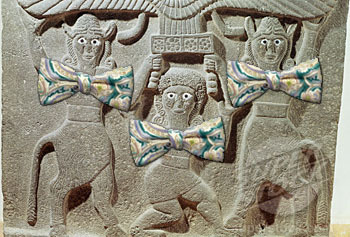 If your affinity is less organization-oriented and more fashion-prone, sew a precocious paisley bowtie (just in time for Easter) with help from papernstitchblog.com. As always, don’t forget to browse our online store for discount paisley fabric to help you in your DIY adventure. After all of this, what do you think? Should paisley stay in the 60’s? Or are you glad that it comes back in style so often?